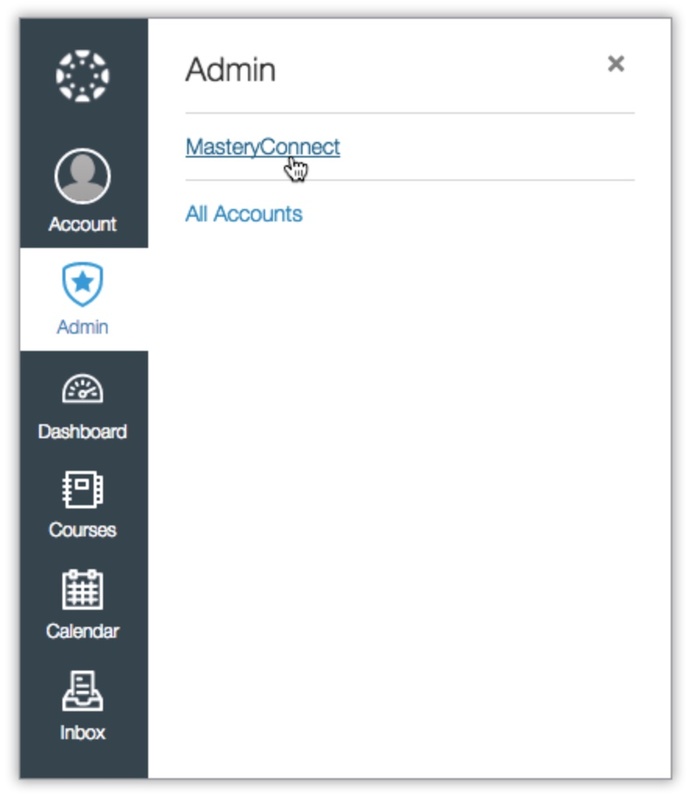 Here you can learn how to set up Learning Tools Interoperability (LTI) in order to integrate MasteryConnect into Canvas. Before you can register MasteryConnect as a new service provider in your LMS, you will need two basic pieces of information: the consumer key, and the shared secret. Once you have these, you will be able to configure LTI in Canvas for teachers to use. If you've already set up the MasteryConnect integration in Canvas, you can learn how to deliver an assessment through Canvas here. 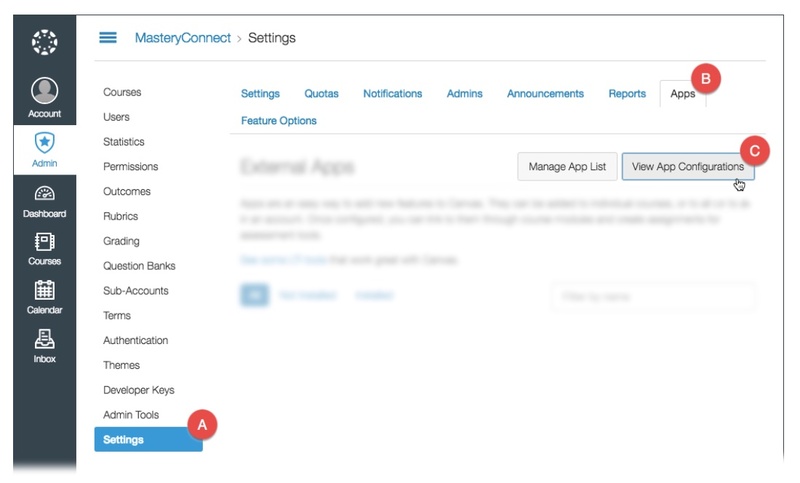 In MasteryConnect, click Admin, hover over Manage, and then select LTI Settings. On this page, you will see the name of your district and of individual schools. 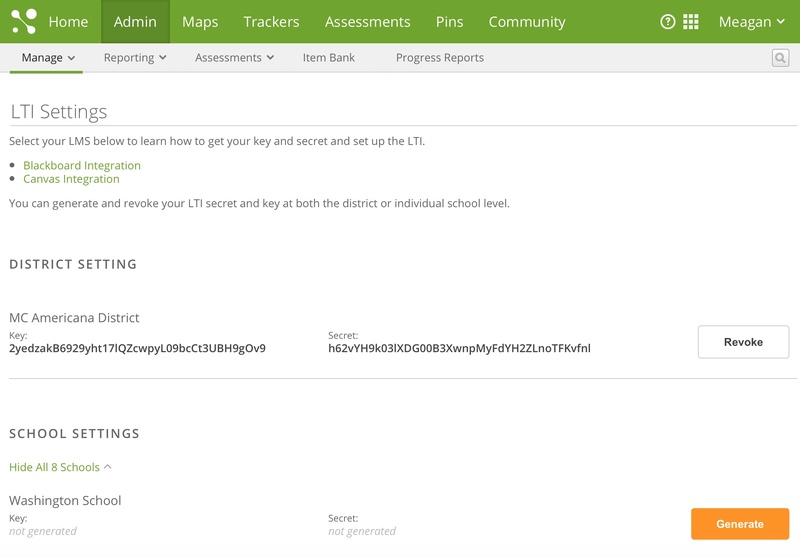 You can generate an LTI Key and Secret for the entire district, or for specific schools within your district. 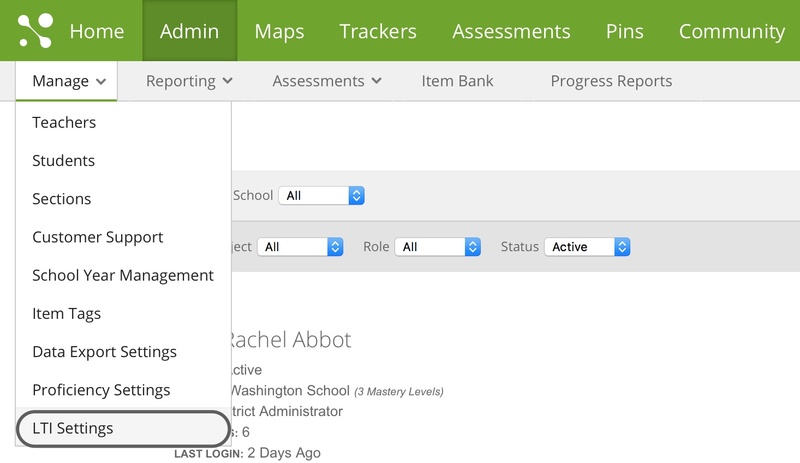 To do this, click Generate to the right of the district (or schools) for which you want to set up LTI. These are the two pieces of information that you’ll need before going to Canvas. Note: You can Revoke the key and secret for your district or school at any time. Please be aware that this action in permanent, and that everything associated with the revoked key and secret will no longer be usable. In a separate browser window, open Canvas and log in. On the left of your Canvas account, click the Admin icon, and then select your account. Next, click Settings (“ ”), select Apps (“ ”) from the the navigation bar, and then click the View App Configurations (“ ”) button. Here, you’ll see a list of all external apps that are connected to your Canvas account. Click on Add App. Now, in the Configuration Type drop-down list, select By URL. In the Name box, type a name for the external app (for the sake of simplicity, we recommend using MasteryConnect in the name). At this point, you will need the key and secret for the school or district that you are trying to integrate. Return to the MasteryConnect LTI Settings page, copy the key and paste it in the Consumer Key box. 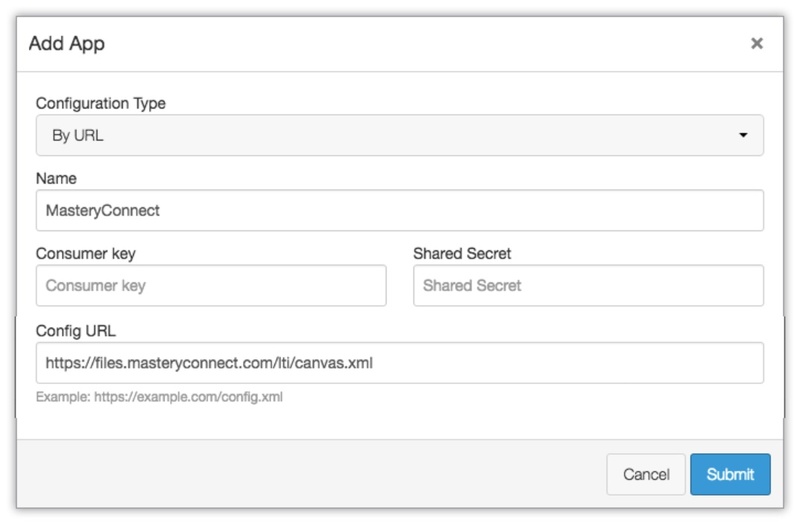 Next, copy the secret and paste it in the Shared Secret box in Canvas. In the Config URL box, enter "https://files.masteryconnect.com/lti/canvas.xml" and then click Submit. MasteryConnect will now be added to the list of external apps, and your teachers can begin using it to deliver assessments through Canvas.